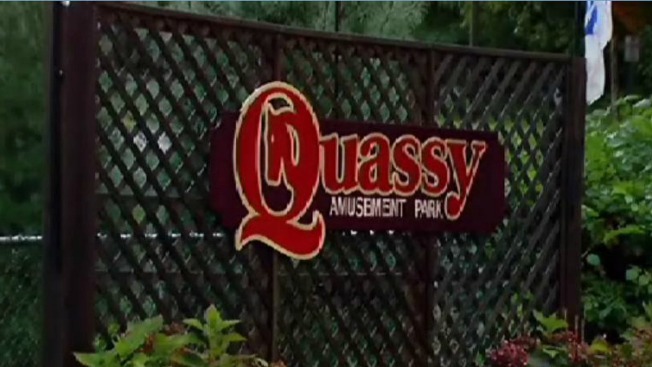 Several people were treated for overdoses after taking the drug 2CP at an electronic dance concert at Quassy Amusement Park in Middlebury on Saturday night. What began Saturday night as a rave concert with a sea of young people in attendance ended with what police are calling a "mass casualty event" at Quassy Amusement Park in Middlebury, Conn.
About 1,200 young people showed up at the amusement park Saturday for the electronic dance concert. Police said the concert began around 6 p.m. and that at 10:30, "it was like a light switch went off" as four people dropped to the ground from drug overdoses. "Something terrible was going on," said Jeffrey Montville of Middlebury, who lives just a half mile from the park. Three officers working the park attended to the concert-goers. Police said they suspect that the drug in question was 2CP, a powerful hallucinogenic similar to LSD. The drug overheats the body and takes effect about three to five hours after it's ingested. One of those people was male, either 17 or 18 years old. He was not breathing and lacked a pulse. Officers performed CPR and used a defibrillator. Ambulances rushed to the scene. Crews from Waterbury, Naugatuck, Woodbury and Watertown responded to the amusement park, along with and State police from Troops A and L.
K-9 units also canvassed the park to make sure that no victims were overlooked. The situation was secured a little after midnight, according to police. A total of seven people were taken to the hospital for treatment. Four are still in the hospital: two at Saint Mary’s and two at Waterbury Hospital. Authorities also arrested 30-year-old Kyle Stoddard of New Milford for interfering with police while they were treating the overdose patients. Montville said he wondered if the wide age range of the concert-goers might have contributed to the problem. "That's matches and dynamite, when you're taking 16-year-olds and 21-year-olds," Montville said. The concert was hosted by a New England-based event production team called Tight Crew, which, acccording to its website, specializes in "large scale electronic dance music in safe, friendly and unique environments."